Beginning in 1617 Vincent’s vision was clarified and nothing escaped his gaze. He recognized the misery that many families endured as the result of some illness. He saw that many priests had not received an adequate formation that would allow them to fulfill their obligations. He knew the scourges that beggars experienced. He realized that the aged and the infirm did not receive adequate care. He saw the horrendous conditions that the galley slaves were forced to endure. He was moved by the many children who were abandoned in the streets of Paris. 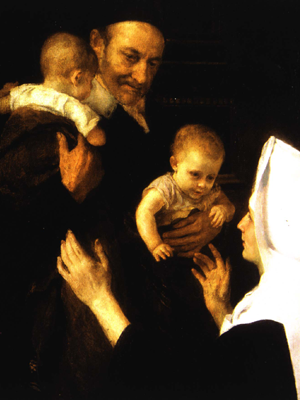 In light of these and so many other realities Vincent looked for ways to respond to these situations and with the help of countless collaborators found some unique and very creative approaches to evangelization during the seventeenth century.